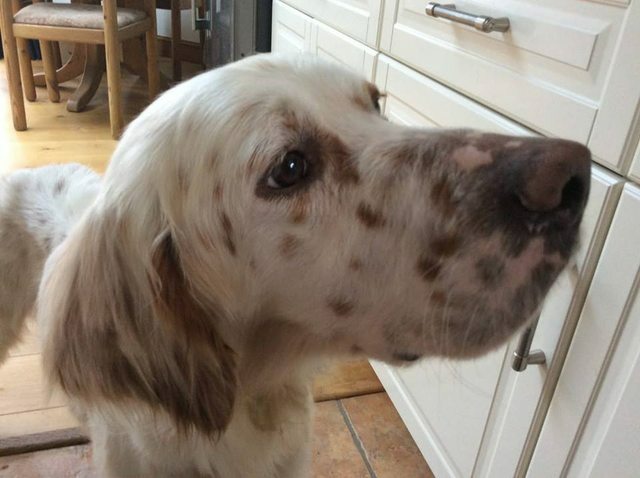 Barney is a 3 year old male English Setter. 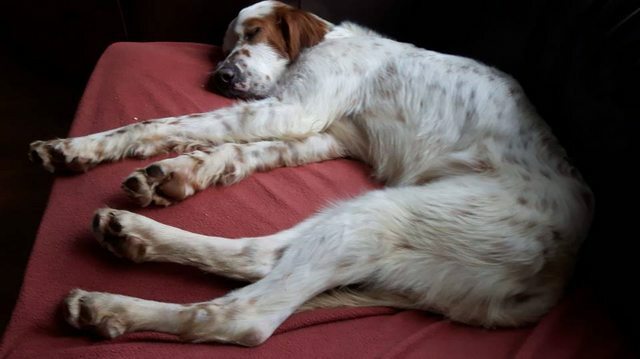 Beautiful Barney is currently in the UK and he’s a big bouncy thing, a Setter Tigger. 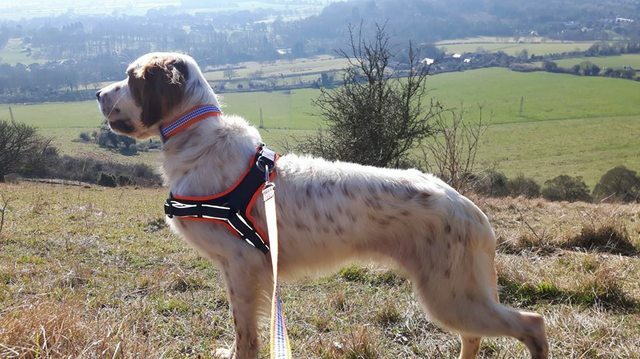 He’s got an enormous amount of energy and so needs a young, fit adopter and somewhere to run a lot every day to burn off steam. He is the sweetest thing, gets on well with other dogs but bounces all over them when he plays, he’d do well with a/other young playful canine buddy/ies. He is very affectionate with people, not a bad bone in his body, he just wants to play. Check out his lovely long legs!